I have to be honest here. I have had sugar cravings my whole life since I can remember. I come from a long line of diabetics. 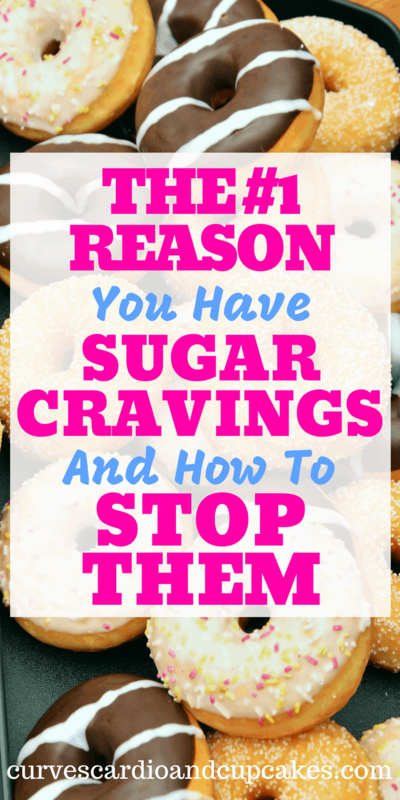 So I needed to figure out what was causing these sugar cravings and how to stop them as quickly as possible! My sugar cravings were so bad, but the worst time for me was at night. I would literally just finish dinner and feel like I needed some sort of sweet snack. The problem was that I couldn’t stop thinking about it until I just went ahead and ate something sweet. It was out of control. I also craved bread and other processed carbohydrate foods, but the sweets were the worst. I’ve struggled with a ton of health problems over the last 13-ish years. You can read about that here. I was on the diet roller coaster since childhood when my mom started taking me to Weight Watchers meetings with her. I’ve just about tried it all and guess what?! I would lose and gain it all back and then some. Quite a few of these diets were not healthy and didn’t teach me anything about how to eat properly and I always had sugar cravings no matter what diet I followed. Even on a keto diet I craved sugar. I read that after a couple of weeks on low carb, you wouldn’t crave sugar anymore. HA! That was not true for me! I had read that certain vitamins and nutrients could help with sugar cravings and over the years tried quite a few of them, but none of them ever helped me kick my sugar addiction. Nothing ever seemed to work and it was super frustrating! I recently started eating a whole food diet with a focus on vegetables and fruits and I added in fermented foods to help my gut bacteria just to see if it would help. You can imagine my surprise when I started to feel better and lighter but I was still struggling with a few of my health problems and some sugar cravings even though they improved a bit with the fermented foods, when I came across this cistus tea. I’ve been drinking the tea 3 or 4 times a day and I feel like a new woman! The reason I decided to try it is that it is supposed to break up biofilms in the body. It is said that bacteria and yeast overgrow in our bodies and create these biofilms to protect themselves. So when we take antibiotics or natural antibacterial or antifungal products, the medicine can’t reach the bacteria and yeast to kill it because of these protective biofilms. Of course I was skeptical if this was true or would even work, but the tea was inexpensive enough that I figured it was worth finding out. I’ve struggled with my health for so long that I’m usually willing to try just about anything. I started drinking the tea the day I got it in the mail. I didn’t notice much difference that day or the next day. On my second full day of drinking it, I felt my belly bloat reducing and a sense of lightness in my body that I haven’t felt in years! It’s hard to describe, but I felt like a thousand pounds was lifted off of me. The coolest thing that happened though was that I wasn’t hungry! I didn’t find myself snacking all day like I usually would. I was having probiotic yogurt with fruit in the morning and I would forget to eat until I was truly hungry. And let me tell you, I am not someone who forgets to eat! My third day I felt a little rough. I still had the wonderful feelings from before but I was a bit nauseated and had a bit of a headache. I reduced the amount of tea I was drinking for that day and felt better by the next day. They say as these biofilms are broken up and the yeast and bad bacteria are dying off, they release toxins. So I think that may have been the reason for how I felt on this day. This is the first day I realized that I wasn’t craving sugar anymore! After the third day, I felt better and better every day. I can honestly say that my aches and pains and my painful bladder are no more. My belly keeps getting smaller every day with the combination of this tea and my diet of whole foods and fermented foods. I’ve vowed to stay off of the scale but my jeans are looser so I know I’m losing weight. My sugar cravings have completely stopped. I feel like I am in control of my eating for the very first time in my life! It’s so amazing! A key factor to this is eating healthy because you don’t want to keep feeding the bad bacteria and yeast. Plus you want to get good bacteria into your body to help push out the bad stuff. So be sure to get your fermented foods in! If you try the incanus tea , you’ll want to use the same tea and brew it 3 times. It releases different polyphenols each time you brew it. I love this because it makes it even more cost effective! It comes in loose leaf tea. So I use this little gadget to brew mine. I tried drinking it hot at first and realized the flavor of it is muted more if I drink it iced. I usually add a packet of stevia to sweeten it a little. And don’t worry, it doesn’t taste bad. I was nervous that it was going to be super gross, but I actually enjoy it when it’s iced. Another awesome thing about this tea is that it breaks up the biofilms on your teeth too. So your teeth feel cleaner and accumulate less plaque. I hope you find this information useful if you’re trying to stop sugar cravings. It’s amazing to me that an imbalance of gut bacteria could cause such bad sugar cravings. I’m so thankful I found this solution to my problem and I hope it helps you too! If you try it, please let me know if it worked for you! If you have any questions about it, feel free to ask below. Want to keep track of your weight loss? 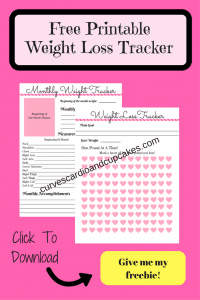 Get your free weight loss tracker!